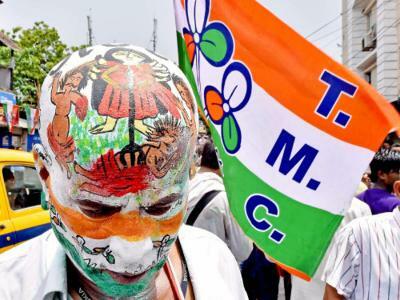 Trinamul said it would harp about the silence of the BJP vis-à-vis the Gorkha Janmukti Morcha's "tall claims" of the Prime Minister's commitment to the cause of Gorkhaland in the campaign for elections to four municipalities in the hills. After a meeting with Prime Minister in New Delhi last month, Morcha president Bimal Gurung had claimed that Narendra Modi had expressed his "commitment" to start the process of creating a separate state of Gorkhaland. Binny Sharma, the spokesperson for Darjeeling district (hill) Trinamul, today said no BJP leader had spoken on Gurung's claim. "Recently, the Morcha chief was making claims that the Prime Minister had assured him of a favourable decision over their demand for the separate state. He also said central leaders of the BJP were considerate of the statehood demand. However, not a single remark or a written statement has come from the BJP or the Prime Minister's Office in this regard," Sharma said. As Trinamul will get into the campaign mode ahead of the polls to Darjeeling, Mirik, Kalimpong and Kurseong municipalities on May 14, the party will attack the Morcha on its Gorkhaland claims. "Our principal agenda is development. But the Morcha does not have any agenda and that is why its raking up the issue of Gorkhaland to pander to the sentiments of people. In this way, the Morcha hopes it can tide over the polls. However, people are sceptical of the Morcha president's claims as there is complete silence on the side of the BJP. We don't buy his one-sided tall claims and will apprise people of it," Sharma said. Gurung had already made it clear that the civic polls would be fought on the Gorkhaland plank. Observers said Trinamul that was opposed to Gorkhaland would adopt a multi-pronged strategy to counter the Morcha. "It is obvious that no political party can ignore the Gorkhaland demand during an election campaign in the hills and will have to say something or other on the issue. So, Trinamul has adopted a multi-pronged strategy. It will highlight the development works done by the state in the hills and alleged non-performance by the immediate past civic boards where Morcha was at helm. Simultaneously, Trinamul will be asking why the BJP is silent on Gurung's claims with regard to the statehood," an observer said. Trinamul said it had data to prove the Morcha-run municipal boards' pathetic performance.